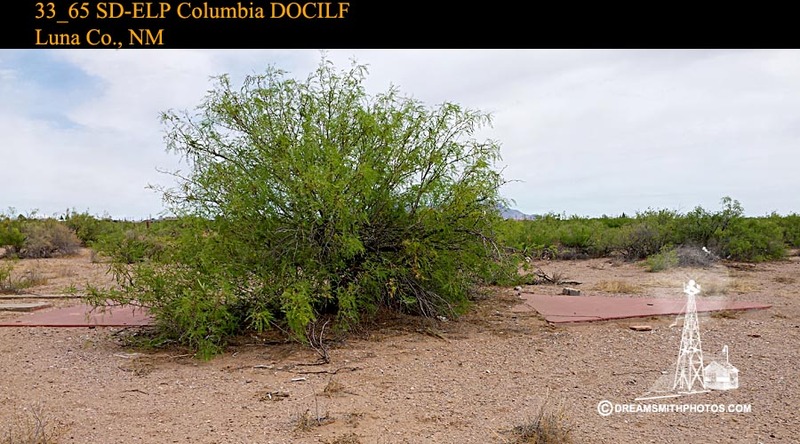 The Columbus Field Arrow is located in the town of Columbus, New Mexico. The arrow is complete, but parts of it are in poor condition while other parts are still good. The arrow point and the base where the beacon stood are in good condition. 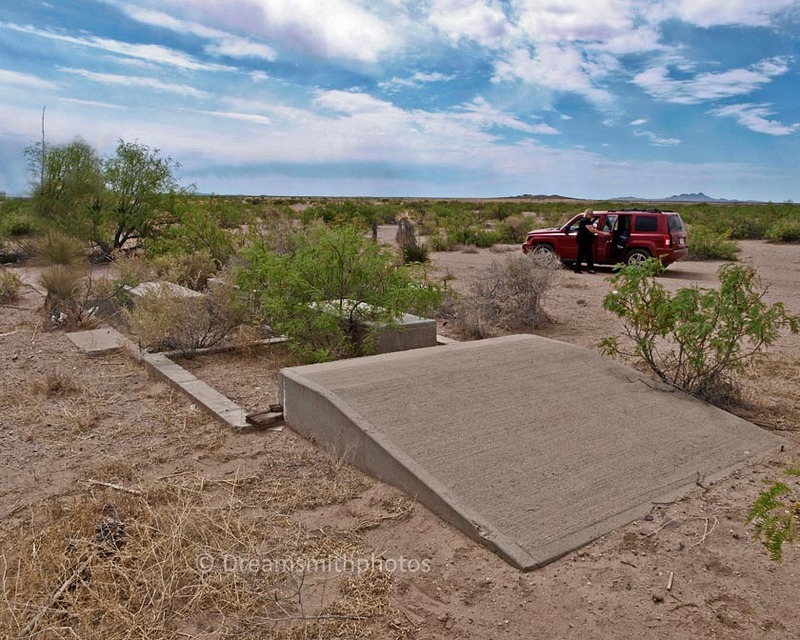 All that remains of the base where the generator shed stood is the outside & some inside concrete foundation. All that is left of the shaft that connects the beacon & shed base is several concrete foundations. The shaft that connects the beacon base & arrow point is missing. The total length of the original arrow is 69 feet. Columbus New Mexico Historical Society grounds behind the Train Depot Museum and Gift Shop. The pilot would approach the tail of the arrow on a compass heading of 102° (E-SE), and then exit the arrow on a compass heading of 102° (E-SE). There is an active airport fairly close to this site, so no aerial drone photos were taken per Federal Regulations. 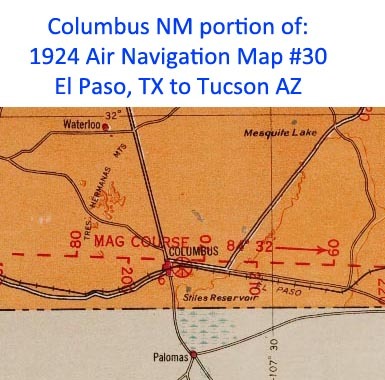 Columbus Field / Airport/ Aerodrome in Columbus, New Mexico has been in operation since 1916. It started out as an Army Aero Station in the Mexican Punitive Expedition. It was the first time that the First Aero Squadron was in active duty, and is considered the begining of the U.S. Air Force. When The U.S. joined the First World War, the Air Field was unused, the hangers were torn down and used in other places. Planes could still land but there were no facilities for them. In 1919, it was decided to reopen the Landing Field and new steel hangers were brought in. By 1930 it had a directional arrow, generator shed,and a beacon. A low powered radio station, KCBY with point to point communication was added in 1933. The airfield in Columbus was site "65, SD-EL P" from 1931 until 1938 when it was designated site "34, SD-EL P". 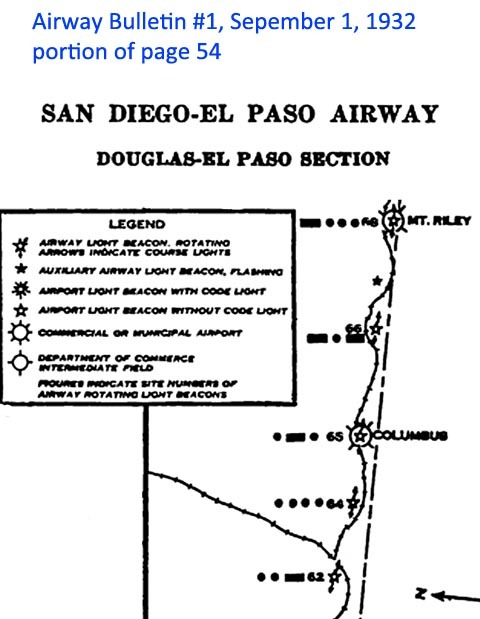 It is located on the Douglas to El Paso section of the San Diego to El Paso Airway. As far as we can find American Airlines was the first to land at the airport and pick up mail. This momentus event occured on May 20, 1938. It is unknow how much mail was involved. 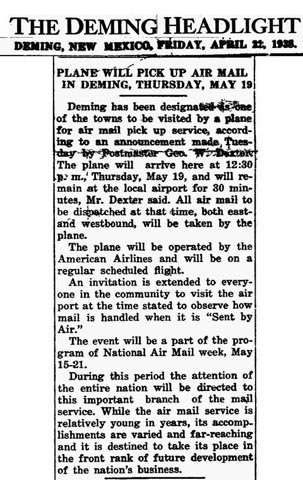 This was part of the National Airmail Week promotion as shown by this article in The Deming Headlight. It was a Government Army Landing Field as shown on the 1924 Air Navigation Map below until sometime in the early 1930's when it is shown as a Department of Commerce Intermediate Field in 1940 it became a CAA Intermediate Field. It was in use as an auxiliary field until the mid 1990's. It is on the historical register: Village of Columbus and Camp Furlong National Register Number: 75001164. The First Aero Squadron Foundation is in the process of restoring the field. At the writing of this they have purchased the land where the Aerodrome first stood and have 1 runway graded. They have much work to do and little funds, so if you are interested in this little piece of history and would like to become involved contact them at: First Aero Squadron Foundation. From Google Maps you can see the shape and boundaries of the original field, the white arrows mark the airport boundries that still exist as of this 2014 Google image. When the aiport was operational, these metal guides would have had a cone in the center and lighted at night to help the pilot find the landing field. The Yellow line marks the original airport boundary. 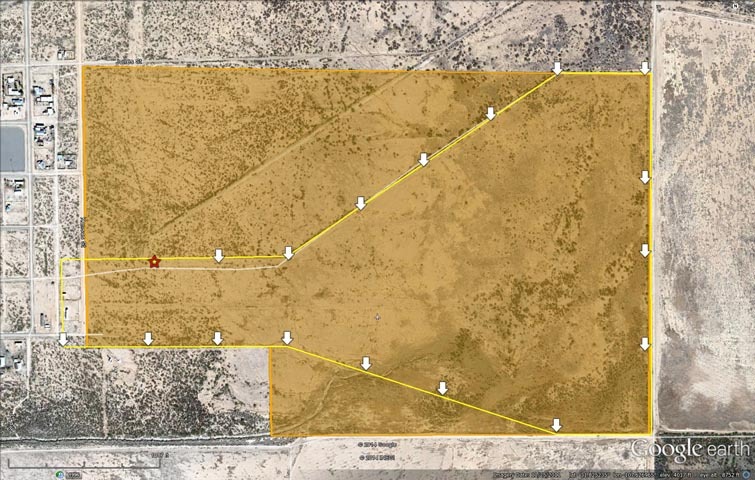 The orange line and fill is the property purchased by the First Aero Squadron Foundation to restore the airport to its original condition. The red Star is where the Department of Commerce directional arrow, beacon and generator foundation are located. 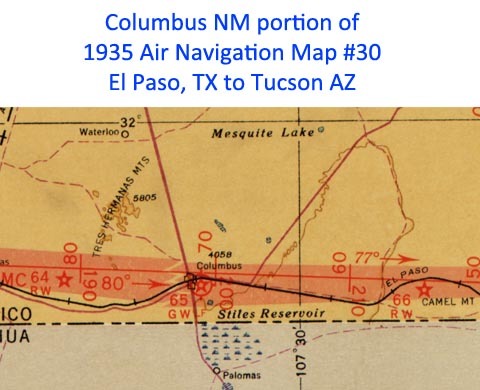 Click here to view a slide show of documents published about the Columbus New Mexico Airport. None yet, if you have any photos of the airport please share them. Thank you.